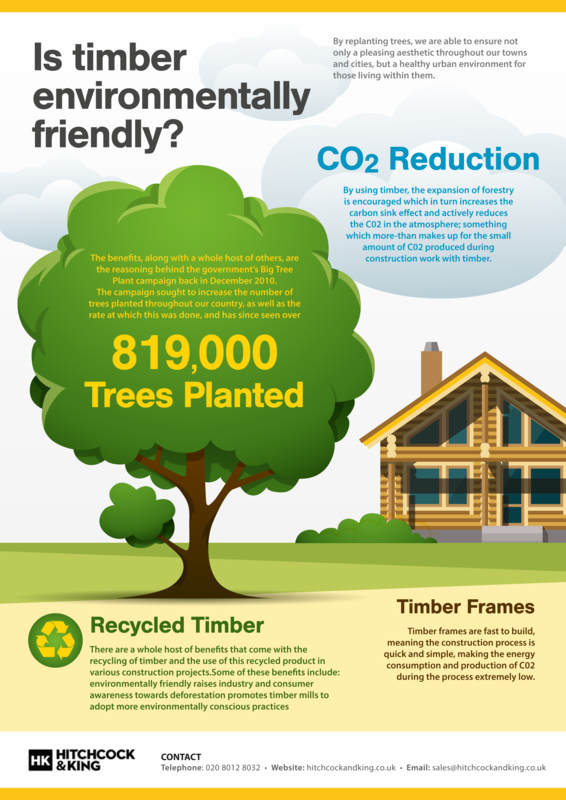 Home » News » Is Timber Environmentally Friendly? By using timber, the expansion of forestry is encouraged which in turn increases the carbon sink effect and actively reduces the C02 in the atmosphere; something which more-than makes up for the small amount of C02 produced during construction work with timber. By replanting trees, we are able to ensure not only a pleasing aesthetic throughout our towns and cities, but a healthy urban environment for those living within them. These benefits, along with a whole host of others, are the reasoning behind the government’s Big Tree Plant campaign back in December 2010. The campaign sought to increase the number of trees planted throughout our country, as well as the rate at which this was done, and has since seen over 819,000 trees planted. With over £3.7 million granted from the government, as well as £7 million granted through match funding, this scheme is set to proliferate in years to come, meaning the scheme’s roots can be spread, and its benefits felt by more and more cities and residents. Hitchcock and King are builder and timber merchants who have been offering their services across London for over 40 years. Get in touch today for more details about our services.